Last year, Portuguese daily national newspaper Público wanted to solve a problem for its readers: coming up with a solution for recommending stories of interest people had missed while they were away. 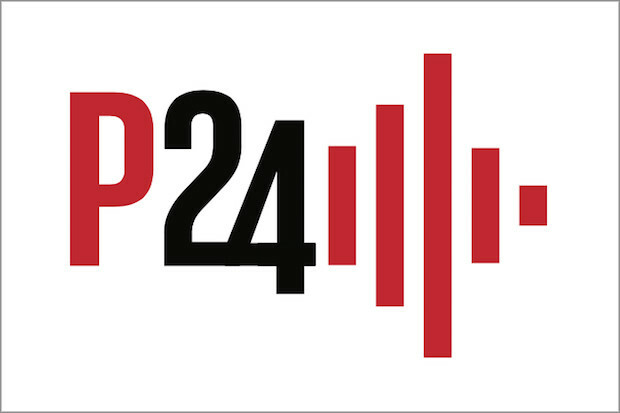 Last week, on 26 April, the organisation launched P24, a new audio feature that enables readers to catch up on news. It also allows Público to expand the journalism it produces beyond written articles, and be able to also reach people when they are driving or running. Público had not experimented with audio before this project, which has been partially developed with support from the Google Digital News Initiative fund. A couple of months before the launch, the team started producing around 40 news audio pieces per day, and P24's engine combines anywhere between five and ten of these items to create a personalised package based mainly on readers' interests. P24 uses a mix of algorithmic curation and editorial input, as a team of Público journalists headed by an editor make decisions on which audio pieces are selected, to ensure important news gets included even if a person has not previously expressed an interest in a particular topic. "A crucial part of the project is that we didn't want to make blind recommendations, in the sense that we didn't want this to be just a machine that selects certain pieces for you, because we wanted to avoid the filter bubble," João Pedro Pereira, innovation coordinator at Público, who came up with the concept. Each audio package has a duration of about eight minutes, and is featured on the Público website only, at the top of the homepage. The outlet has had a soft paywall since 2013, but P24 is available to both paying subscribers and users who register for free. Every time a reader visits the website, the engine scours through the audio items produced in the previous 72 hours and assembles a new playlist. "We started collecting a lot of information about our users before launching the service, such as what devices they were using and whether they were using a Wi-Fi or cellular connection to browse the website. "Eventually we decided to go mainly with people's interests, which is the main variable the algorithm takes into account. Based on what you've already consumed on our website, we narrow down your interests and we follow that to give you the audio news." Listeners can like individual audio stories in their playlist, which the engine views as proof of their interest in the topic mentioned in the audio item, but they can also share the snippet on Twitter or Facebook. However when doing so, they are not sharing it in audio format – instead, P24 automatically links to the written article corresponding to the audio. Similarly, if someone is browsing the Pùblico website and clicks on a text story that happens to have a corresponding audio item in P24, this will be flagged in the article's body, so that they can also listen to it. Diogo Queiroz de Andrade, deputy executive editor of Público, said P24 was not created for social media or other audio platforms because the concept, which is different to that of a podcast, would not be a good fit. That being said, Público editors have started publishing a daily podcast that includes hand-picked audio items from the P24 collection. "[P24] doesn't go up at a specific time of the day, it refreshes every time you access it on the site. "It's like an automatic update on the news, so it wouldn't make much sense to have it on social," he explained. Pereira said they initially started out by having one-minute long audio snippets, but beta testers of P24 wanted these to be shorter, so the duration of each item is currently around 40 seconds. Público is now hoping to collect feedback from listeners about the service and how well the algorithm matches their interests. The team is also interested in exploring further personalisation options outside of audio, Queiroz de Andrade said, such as using artificial intelligence to improve the outlet's recommendation services.